Hello everyone and welcome to day three of the Taylored Expressions May Sneak Peeks!!!! On day one we featured patriotic projects and yesterday we had Pages and Pockets scrapbooking...today we are going to show you lots of fun and super cute creations for the young and young at heart!!!! 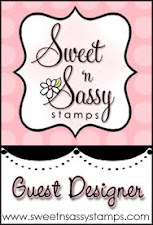 My projects today feature the adorable new Dino-Mite stamp set and the coordinating dies called Dinos, the new Houndstooth Cutting Plate, and the new Robots dies that coordinate with the previously released stamp set called Far Out. For my first card, I stamped the dinosaurs onto Choice Snow White card stock and cut them out with the Dinos dies. 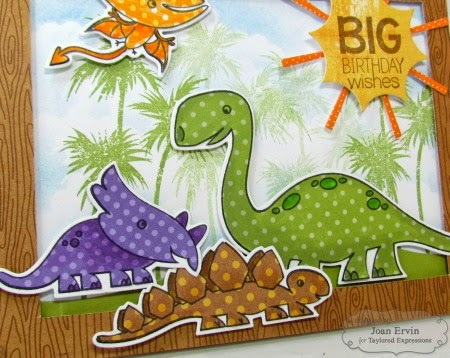 Then I stamped the dinosaurs onto different colored polka dot patterned paper, shaded then with Copics and cut them out. A Piece of green patterned paper was cut out with the Build a Scene-Rolling Hills die and adhered to the Choice Snow White background for the grass. Then the clouds were sponged on with bashful blue and my home made cloud die. The palm trees from the Ride the Wave set were stamped with wild wasabi and the sentiment was stamped on the Build a Scene - Sun die cut. 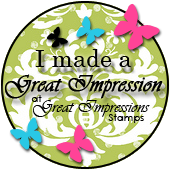 The frame was created by first cutting out a piece of 5 1/2" x 4 1/4" patterned paper. The inside was cutout with an exacto knife and pieces of scrap card stock were adhered to the backside for support. It was then adhered to the background with foam tape. The dinosaurs were then adhered with foam dots...no ribbons or bling were added because this is for a special boy and he wouldn't approve of anything frilly...LOL!!! 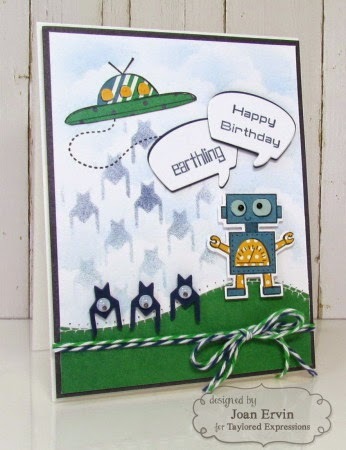 My next card features the cute little robot and space ship from the previously released Far Our set....the little robot was cutout with the coordinating Robots die, paper pieced with paper from A Charmed Life 6x6 paper pad, and popped up with foam tape. The space ship was stamped on the background, the clouds were sponged on, and then the space ship was paper pieced with the same paper as the robot. The little one eyed robots are actually the cutout pieces from the Houndstooth Cutting plate....a diecut from the Houndstooth Cutting Plate was used to sponge the *robots* floating down from the space ship. The Build a Scene - Rolling Hills die was used to cutout the grass and a little sewing was done on the top edge. The sentiments from the Far Out set were stamped on the Say What? Conversation Bubbles die cuts and the twine and goggley eyes finish it off. 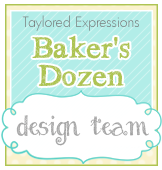 Check out what the Baker's Dozen Design Team created for you today...you are going to be blown away!!!! Thanks for popping in today...remember, tomorrow is the Taylored Expressions May release at 7:00 AM PST...then you can shop till you drop...Woot!!!! Dinosars and Robots.. how totally fun.. These cards are adorable..
TOO CUTE!!! Love both of them! Precious! oh my it doesn't get any cuter than this ! 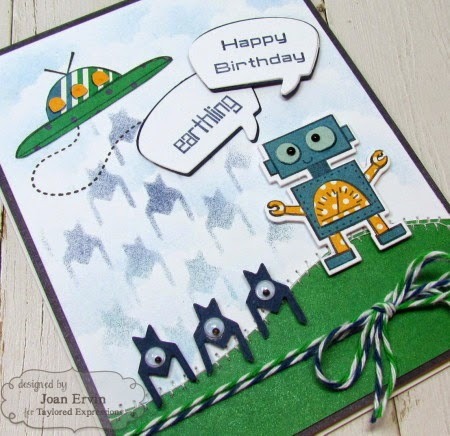 Fabulous robot card! Genius with the houndstooth dies. The dinosaurs are cool too. Love the polka dotted pattern paper on the dinos. The alien scene is so cute. Adorable cards! Love the robots and the dinos!!! Thanks for sharing! 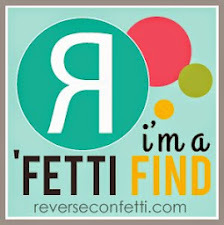 Oh super cute and fun cards! Love the dinosaurs! Oh my goodness - these are so adorable! Love everything about both of them! What fantastic fun cards. I love the way you used the houndstooth cutouts as little space invaders. These are both so cute! Love the paper pieced dinos (wish they were around when my son was little). Fabulous cards, Joan! I have a grandson that I've been making cards for when he goes to his little buddies birthday parties, these would be a hit! Gotta a pin them, great inspiration. 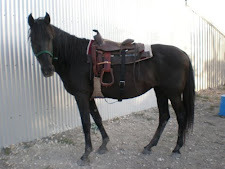 I'm making a wish list for my June birthday! Joan - those little alien robot guys are pure genius!!! 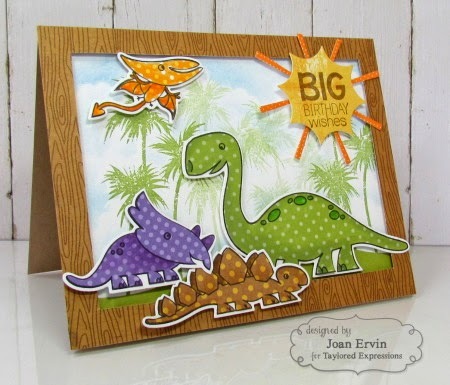 Joan, those dinosaurs are incredible and the design is so cute with the sun sentiment~ Your earthing card is out of sight! How adorable and what smiles it will bring. Love the one eyed things!! !